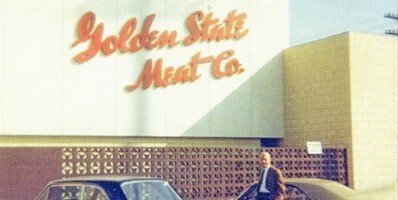 Founded in 1947 in the Los Angeles area, Golden State Foods began business as a small meat company providing products to area restaurants and hotels. But when the company teamed up with the McDonald’s Corp. in the 1950s, it was on its way to becoming a major player in the food processing and distribution industries. 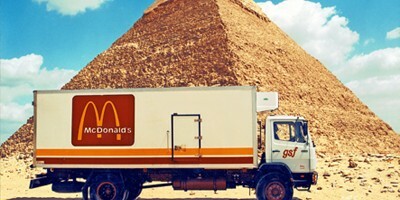 On a handshake and a promise, GSF and McDonald’s set out to pursue a dream of the highest standards. Built upon solid values and relationships, Golden State Foods’ vision was clear: make the best products and provide the best service. Please enjoy scrolling through our interactive experience below, and watch this video: 70 Years of Seizing Our Opportunities. 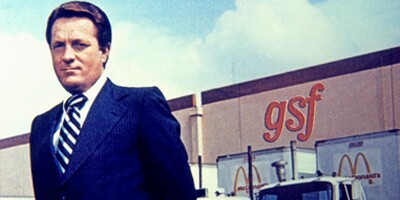 Formerly called “Golden State Meat Company,” GSF was founded by Bill Moore, a food industry veteran, to provide hamburger patties and other supplies to restaurants and hotels in the Los Angeles area. Annual sales for GSF had reached $2 million when Ray Kroc launched McDonald’s restaurants in 1955. Golden State Foods was drawn to its high standards for beef patties and pursued McDonald’s business. Within a few years, the company was making beef patties for McDonald’s in Southern California and later became its primary beef supplier. GSF continued to produce beef patties and expand its product line to include liquid products. 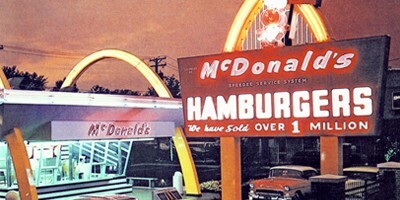 In 1967, with annual sales at $8 million, GSF decided to become an exclusive supplier for McDonald’s. Shortly thereafter, GSF formulated the Big Mac® sauce. The company also opened its first distribution center in San Jose, Calif., and began to export products to McDonald’s in Asia, South America and the Caribbean. The ‘70s were a period of tremendous growth when sales grew from $31 million to more than $337 million. Golden State Foods built its City of Industry, Calif. food processing facility to enable it to provide local processing of liquid products for McDonald’s. GSF also launched the “one-stop-shopping” concept – now an industry standard – through which the company provided warehousing and distribution for all items used by a McDonald’s restaurant. Bill Moore passed away and long time GSF veteran Jim Williams succeeded him as President and CEO. Growth continued, with GSF sales climbing from $398 million in 1980 to more than $1 billion in 1989. Golden State Foods began to make ketchup for McDonald’s in 1984 and later began to make the dressings for McDonald’s salads when they were added to the menu. GSF also began a joint venture, North American Produce, to process lettuce and onions. The ‘90s saw GSF’s sales increase from $1 billion to $1.7 billion. Golden State Foods expanded into the international market; opening a distribution center in in Cairo, Egypt and a produce processing facility in Sydney, Australia. Golden State Foods also expanded its product development group to focus specifically on new product innovation. GSF underwent an ownership change when Wetterau Associates and The Yucaipa Cos. acquired Golden State Foods. The acquisition brought food industry veteran Mark Wetterau to lead it into the new millennium. Beginning the new millennium, GSF embarked on an effort to reach out to other food service providers, while still providing top-notch service to McDonald’s. The company partnered with other organizations to expand its customer diversity and product offerings and took on an array of new customers in the U.S., Egypt and Australia. GSF formed Quality Custom Distribution Services (QCD) and bought out its partner, the Yucaipa Companies, becoming a 100 percent management-owned and run company. The company also established the GSF Foundation for kids. By 2010, GSF’s customer list had grown to more than 50 customers on six continents. In Liquid Products alone, the growth in the U.S. enabled GSF to reach close to 30% market share in the country’s Liquid Products Portion Control category. Golden State Foods continued to increase its product and customer offerings, along with expanding the company internationally. Today, Golden State Foods is one of the largest diversified suppliers to the Quick Service Restaurant industry, headquartered in Irvine, Calif. As Golden State Foods continues to expand its superior products, services, innovation and expertise globally, it consistently maintains the core values upon which it was established: Treat others like you want to be treated; Make the best product; Give the customer fair deal: Maintain the highest standards. Today, 72 years later, Golden State Foods is one of the largest diversified suppliers to the Quick Service Restaurant and retail industries. Headquartered in Irvine, California, the company services more than 100 leading brands and 120,000 stores across the globe from its 40+ international locations. As GSF continues to expand its superior products, services, innovation, and expertise globally, it consistently maintains the core values upon which it was established: Treat others like you want to be treated; Make the best product; Give the customer fair deal and Maintain the highest standards. By 2010, GSF’s customer list had grown to more than 50 customers on five continents. 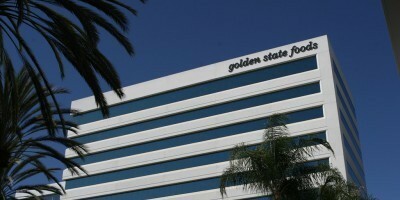 Golden State continued to increase its product and customer offerings, along with expanding the company internationally. GSF acquired KanPak China in 2012, which enabled it to expand its liquid products and produce production capabilities into China and venture into dairy-based products. The following year, the company acquired KanPak U.S. to further expand these offerings throughout the United States, Canada and Mexico. GSF also acquired another liquid products facility in New Zealand, called Groenz as well as Snap Fresh Foods in 2014, New Zealand’s leading retail produce company. Each of these acquisitions enabled Golden State to continue to meet the needs of fast-growing international markets. In the U.S., QCD expanded to 12 DCs across the country, adding centers in Portland, Oregon, Los Angeles, California, Suffolk, Virginia, Dallas, Texas, and Orlando and Miami, Florida. In November of 2016, QCD purchased the assets of Mile Hi Specialty Foods to form QCD Rocky Mountain, LLC. The new business includes distribution centers in Denver, Colorado, Kansas City, Missouri, and satellite locations in Salt Lake City, Utah, Casper, Wyoming and Albuquerque, New Mexico. Beginning the new millennium, GSF embarked on an effort to reach out to other food service providers, while still providing top-notch service to McDonald’s. The company partnered with other organizations to expand its customer diversity and product offerings and took on an array of new customers in the U.S., Egypt and Australia. In 2008, GSF acquired Essentia Foods in Auckland, New Zealand, to better serve customers in that region with various vegetable products. In the U.S., GSF acquired two DCs in Lemont, Illinois and Whitewater, Wisconsin, and established a new center in Garner, North Carolina. The company also formed Quality Custom Distribution Services (QCD) to expand its custom distribution offerings to a variety of new customers, opening centers in Las Vegas, Nevada and San Antonio, Texas, Seattle and Spokane, Washington, Honolulu, Hawaii, and Charlotte, North Carolina. During this time, GSF bought out its partner, the Yucaipa Companies, becoming a 100 percent management-owned and run company. Golden State also established the GSF Foundation to help children and families in need. The ‘90s saw GSF’s sales increase from $1 billion to $1.7 billion. Golden State Foods expanded into the international market, opening a distribution center in in Cairo, Egypt, a produce processing facility in Sydney, Australia, and another DC in Portland, Oregon. Golden State also expanded its product development group to focus specifically on new product innovation. GSF underwent an ownership change when Wetterau Associates and The Yucaipa Companies acquired Golden State Foods. 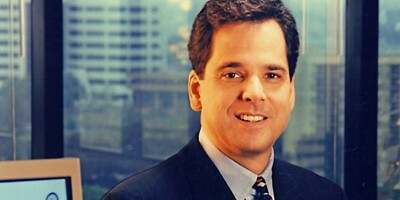 The acquisition brought food industry veteran Mark Wetterau to lead it into the new millennium. Growth continued, with GSF sales climbing from $398 million in 1980 to more than $1 billion in 1989. Golden State Foods began to make ketchup for McDonald’s in 1984 and later began to make the dressings for McDonald’s salads when they were added to the menu. GSF also began a joint venture, North American Produce, to process lettuce and onions. Distribution continued to expand as the company established distribution centers in Sumner, Washington, Suffolk, Virginia and Lexington, South Carolina. The ‘70s were a period of tremendous growth when sales grew from $31 million to more than $337 million. 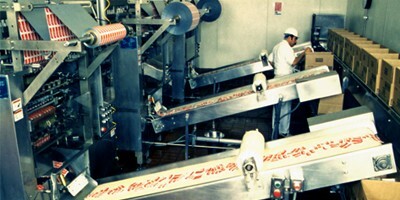 Golden State Foods built its City of Industry, California, and Conyers, Georgia, food processing facilities to enable it to provide local and national processing of liquid and meat products for McDonald’s. It established distribution centers in Waipahu, Hawaii, City of Industry, California, Phoenix, Arizona, Sumner Washington, Rochester, New York, and Greensboro, North Carolina. GSF also helped launch the “one-stop-shopping” concept – now an industry standard – through which the company provided warehousing and distribution for all items used by a McDonald’s restaurant. Bill Moore passed away and long-time GSF veteran Jim Williams succeeded him as President and CEO. 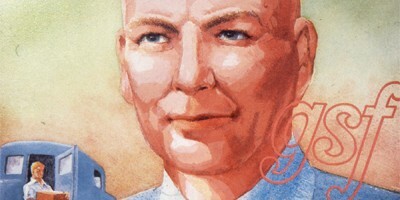 Annual sales for GSF had reached $2 million when Ray Kroc franchised McDonald’s restaurants in 1955. Golden State Foods was drawn to its high standards for beef patties and pursued McDonald’s business, even back to the McDonald’s brothers. Within a few years, the company was making beef patties for McDonald’s in Southern California and later became its primary beef supplier.